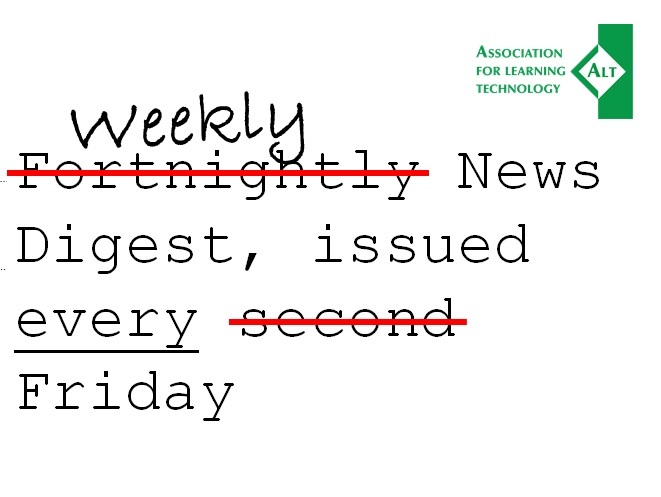 After 339 editions the ALT News Digest is now published every Friday. ALT's weekly News Digest is emailed to subscribers to ALT-ANNOUNCE@jiscmail.ac.uk. To submit items for the Digest, including job vacancies, please complete this form taking careful note of the instructions given.